We are currently looking for a few people to be case studies for the Intelligent Divorce process, and hopefully then featured in the press. This could be for those following either the solo or co-operative service. In return we will not charge you at all for your case (although you will have to pay the court fees yourself). In addition, your case would be personally handled by our three founders, with Melissa Chapman as your case manager, James Roberts writing the opinion on your case, and Mahie Abey drafting your Consent Order. 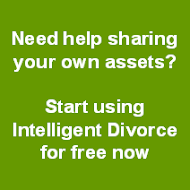 If you might be interested in this either call us on 0844 745 6850 or email melissa.chapman@intelligentdivorce.co.uk. 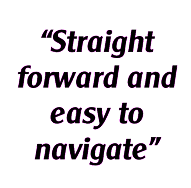 Please do register with the site first (completely free) and have a look around if you want further information about how it all works - or watch our quick video overview.